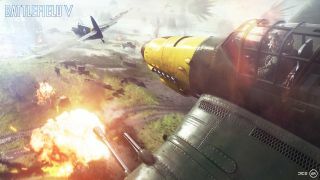 EA DICE has revealed the open beta for Battlefield V will begin on September 4 for early access and September 6 for players on Origin, PlayStation 4 and Steam. The open beta will allow players to experience the recently-revealed Rotterdam map on 64-player Conquest mode, alongside the Arctic Fjord map on Conquest and the new Grand Operations mode. Grand Operations is a multiplayer mode which sees players working their way across multiple maps and modes, taking them through narrative journey inspired by historical events. Early access is only available to players who have pre-ordered Battlefield V or are members of Origin Access Premier, Origin Access Basic or EA Access. However, the open beta is available to the public only a few days later. The open beta should be available to download directly for free from Origin, PlayStation 4 and Xbox One stores. The public open beta is available from September 6 and will run for a limited time. You can start pre-loading the game at 9am BST/ 1am PDT / 4am EDT / 6pm AEST. Battlefield V will release on Origin, PlayStation 4 and Xbox One on October 29.